Royal Baby Name Revealed By Kensington Palace! Proud parents Prince William and Kate Middleton released a short statement revealing the name of their little one this afternoon... but what did they call him? Prince William and Kate Middleton have revealed their royal baby name of choice as George Alexander Louis. The couple confirmed the news in a statement released by Kensington Palace this afternoon. The update came just hours after the royal trio left for the Duchess of Cambridge’s parents’ home in Bucklebury, Berkshire. In a short statement released by officials they said: ‘The Duke and Duchess of Cambridge are delighted to announce that they have named their son George Alexander Louis. It’s not thought the names were chosen as symbolic – simply that the royal couple liked them. The royal baby name revelation, released by the couple days earlier than predicted, ends weeks of speculation over the little one’s title. 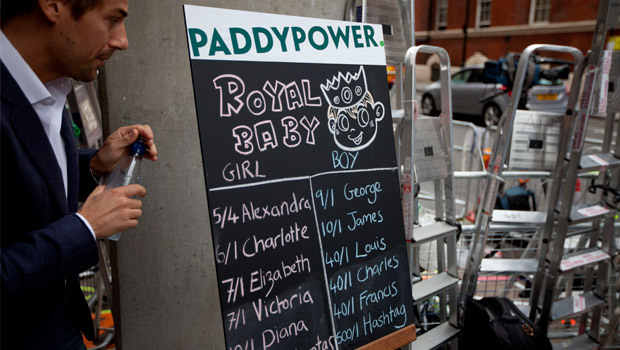 After the royal heir and third in line to the throne was born yesterday, bookies slashed odds on their royal baby names, revealing that George was the favourite at 4/1. James ran a close second at 5/10, while Henry was at 10/1. We hope little George enjoys his first taste of the country! What do you think of Prince William and Kate Middleton’s chosen royal baby name? Are you a fan of George Alexander Louis? Let us know in the comments box below! 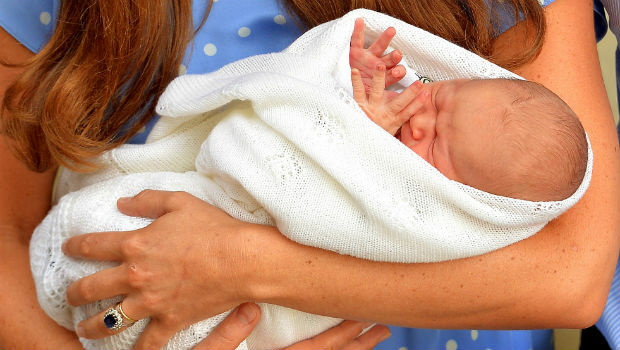 THE ROYAL BABY’S NEW HOME: SEE THE FIRST PICS!